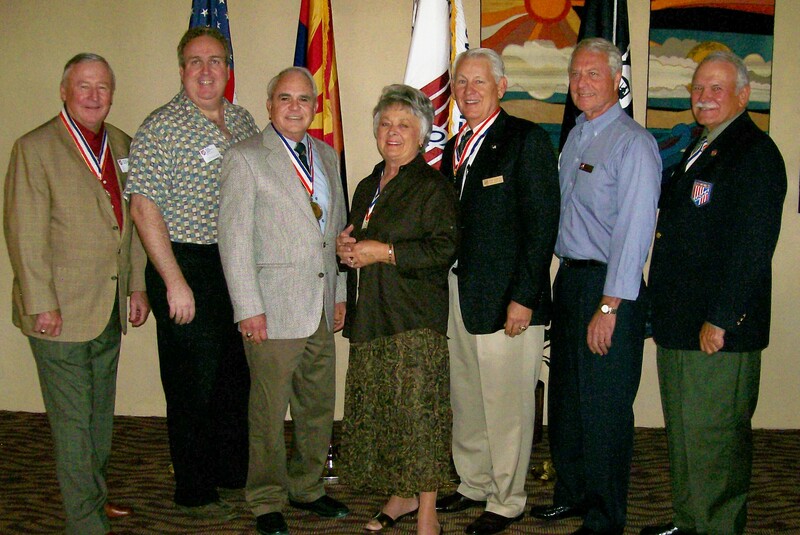 At the 17 November 2007 luncheon meeting, Chapter MSAs were awarded to eight members of the Arizona Chapter for superior service to the Chapter and its members. Recipients from left to right: Col “Pat” Dale, USAF Ret. ; Maj William Johnson, USAF Ret. ; Col “Ron” Worthington, USAF Ret. ; Mrs. Marie Fredricks; Col “Ron” Perkins, USAF Ret. ; Col Gary Fredricks, USAF Ret. ; and LCDR Terry Tassin, USN Ret. COL “Chuck” Schluter, USA Ret. – not shown.